Can I customize the error screens that Kiosk Pro shows? This setting allows Kiosk Pro to regularly check for internet access if connection is lost, and will reload the page when a connection is restored. If any of your content is online or uses embedded content that is hosted remotely (a YouTube video, for example), this should be turned On. If your content is completely local and does not require a connection for any functionality, you can turn this setting Off so Kiosk Pro does not automatically reload the page being shown when a connection is detected. 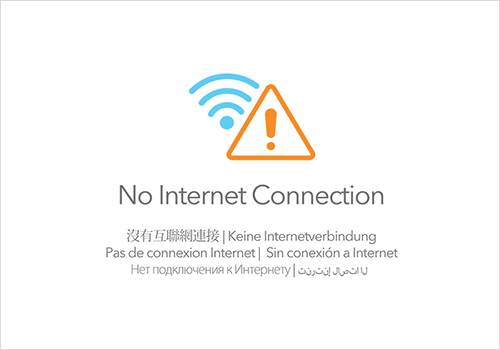 If Internet connection is lost, an error screen (as shown below) is displayed until the connection is restored. If you prefer, you can define an Alternate Homepage for Offline Use to be shown instead. Since Kiosk Pro Lite is always dependent on remote content, this setting is automatically enabled and not included in app settings. If your WiFi connection isn't stable, you may want to consider using a Powered Ethernet Adapter, which allows you to connect your iPad to a power source and Ethernet at the same time. This setting allows you to display alternative content that is stored locally on the device when internet connection is lost, instead of the "No Internet" error screen. When you have an Alternate Homepage set, you can run specific content (either remote or local) as your primary Homepage while you have an internet connection, then failover to a different set of local-only content if the device is disconnected from the internet. When internet connection is restored, the app will automatically reload your primary Homepage. This alternate homepage can be an HTML page, a PDF, or an image file without interactivity. Whatever you choose to display will need to be stored locally on the iPad. Instructions for transferring content to the iPad can be found here. Upload your local content to the Kiosk Pro documents folder. Set 'Alternate Homepage for Offline Use' to the local HTML page (signup.html, for example). 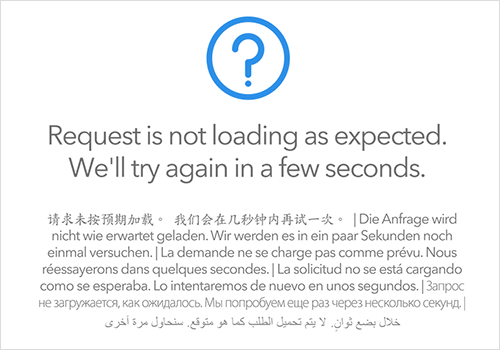 This setting shows a table of the last 50 URLs that failed to load and includes information about the error, returned by the underlying WebView browser. You can use this feature to diagnose and troubleshoot the problem. This table also includes URLs of content that are embedded into a page (for example, an iframe or Youtube video). 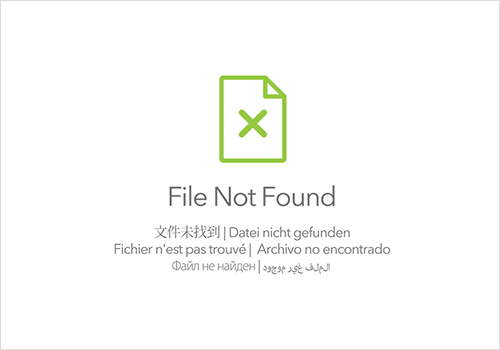 In this case, the entry will show both the URL of the page the content is embedded in and the URL of the content that failed to load. You can export this table as a .csv file to the Kiosk Pro documents folder on the iPad by selecting ‘Export’ from the top right corner. Instructions on how to retrieve this file are available in the Storing Content Locally on the iPad article. This feature allows you to set how Kiosk Pro handles security certificate errors when using the WKWebView browser engine. Always Show Prompt is the default behavior for Basic, Plus, and Enterprise, and is always used in Kiosk Pro Lite. Exceptions to HTTPS:// security protocols are only possible when using the WKWebView browser engine. If using the UIWebView browser engine, there is no method to allow exceptions for failed security certificate authentication so loading of a page with a certificate error will always fail. When using Always Show Prompt, if a security certificate authentication error occurs, a prompt is shown to the visitor, alerting them to the error and allowing them to continue to view the page or cancel to prevent loading. This prompt can only be shown every 30 seconds; if the Idle Time Limit is set to less than 30 seconds, the prompt will not be shown immediately. Automatically allows pages with security certificate errors to load without displaying an alert. As this prevents the exception from being shown to the visitor, it should only be used in restricted environments where all possible exceptions have been reviewed (as in the case of self-signed certificates or certificate errors caused by network level blocking). This mode should never be used for kiosks that allow unrestricted browsing as that could potentially compromise sensitive information entered by visitors. Never is the most secure approach and prevents any page with certificate errors from being displayed. If a visitor tries to view a page with certificate errors, they will see the Blocked Request Alert and the page will not be displayed. Certificate authentication is performed by the underlying WebView browser layer so Kiosk Pro is unable to modify the specific types of errors requiring an exception.